The rate of hypothyroidism among preadolescent children is roughly 1 in 1250, or about 0.08%. As part of this study, 1 in 6 of the children became hypothyroid and required thyroid replacement therapy. Due to these findings, the researchers concluded that the diet itself caused thyroid malfunction. Ultimately, they suggested that thyroid function should be monitored regularly in those with epilepsy who were on the ketogenic diet. These researchers came to the same conclusions as the first, that if a patient was to be on this particular diet, their thyroid function would need to be monitored closely . Insulin appears to be important for several facets of thyroid function, including the liver’s ability to make the more potent thyroid hormone T3 out of T4. This study found that it was not just starvation, but that carbohydrate restriction itself was responsible for the changes in thyroid function . Another study that was performed, on completely healthy volunteers, showed the exact same findings. On a ketogenic diet, the thyroid function slowed. T3 levels dropped, and reverse T3 elevated. This change occurred even when the calories were not reduced . However, the extent to which ketone bodies regulate skeletal muscles and metabolism during prolonged periods of exercise remains unknown. Therefore, as of this moment, there is no reliable information to suggest that it would improve your athletic performance. Bottom Line: While, in some studies, athletes might have felt their energy levels drop at first, but a stronger “second wind” carrying them through, the general ability to maintain high levels of endurance-based exercise was lowered. 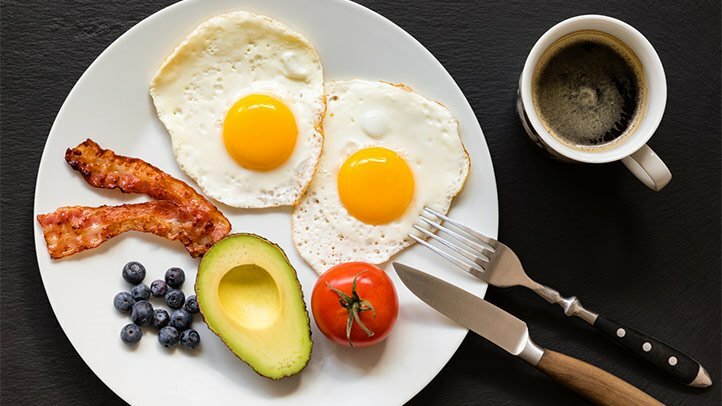 Can you use the ketogenic diet to lose weight? A controlled isocaloric study showed that the proportion of carbs to fats in the diet is irrelevant to energy expenditure and weight loss – particularly when dietary proteins and energy intake are held at a constant. What we have found about ketones is that they may stimulate breast cancer in some , and that by blocking ketone formation we may be able to do a better job of stopping cancer growth. This all comes down to the fact that ketones and lactate can increase cancer cell “stemness,” which can drive recurrence, metastasis, and poor clinical outcomes in breast cancer. After all of that, isn’t it time that you learned a little bit more about your thyroid? It’s as simple as taking a quick quiz, where easy questions can unlock a world of answers about your thyroid health – and how you feel in general. Please give the Thyroid Quiz a look today, and set yourself on the right track towards your best health.